Loukas’ café/wine bar is cosy. The walls are filled with different clocks, (seventy to be exact) and old Cypriot adverts. None of the clocks tell the right time. But, that’s because Loukas wants people to choose the time they prefer. The 26 year old bought his shop 3 years ago. It was a dilapidated building – once belonging to an old man that sold anything and everything from shoes to candle wax. He owned it until he died aged 90, which is when Loukas began transforming it into what is now known as Café Oinos. 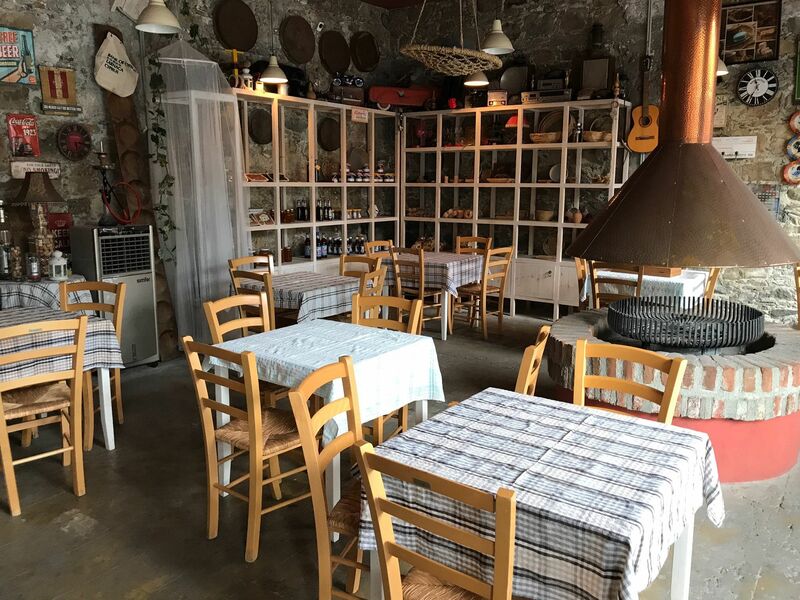 It’s the only café/wine bar in the village – not serving meals, but what Loukas calls Tsimbima – things to pick at. Local meats, like lounza and tsamarela, cheeses such as Kaskavali, tomato and fresh bread from the village bakery and of course only Cypriot wines. A Graphic designer by trade, Loukas gave up his career in the city to come back to the village he grew up in - Kalopanayiotis. The economic crisis struck and he says he was tired of giving his ideas away for next to nothing. He wanted instead to come back home and run his own business. Loukas grew up in the food industry. His parents ran a restaurant for 17 years. So, he ignored the advice he received and has not regretted it since. He says the village is receiving double the visitors this year compared to the last, with a steady stream of local and international tourists coming from May through to October. Loukas speaks enthusiastically about the future. He wants to turn his rooftop into an outdoor cinema and garden bar.